The Department of Music in the The School of Arts and Social Sciences welcomes Dr Eva Moreda Rodríguez as part of its 2017-18 Research Seminar Series. This seminar focuses on how music and exile under the Franco regime in Spain has grown steadily for the past three decades; little attention has been paid thus far, to exiled performers who were active primarily as members of orchestras, wind bands and popular music ensembles. This talk intends to make an initial contribution by discussing the trajectory of the Banda Madrid, or Agrupación Musical Madrid, as a case study. The Banda Madrid was founded in spring 1939 in the internment camp of Le Barcarès in the South of France by the conductor and composer Rafael Oropesa. All of its members were exiled to Mexico City, where they became a fixture of the Spanish exiled community until 1947. Dr Rodriguez will discuss how the study of the Banda Madrid and the individual stories of some of its members, can problematize and expand our current understanding of exile in Spanish music. By drawing attention to issues of class and labour that have not been properly acknowledged thus far, we can see the significant influence of how the exiled community understood and displayed a sense of national identity and of legitimacy vis-à-vis Spanish culture. 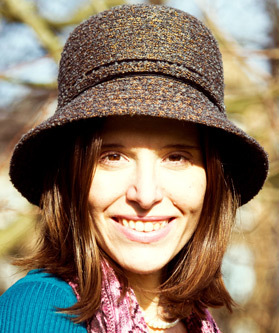 Dr Eva Moreda Rodríguez is Lecturer in Music at the University of Glasgow and author of the monographs Music and Exile in Francoist Spain(Ashgate, 2015) and Music Criticism and Music Critics in Early Francoist Spain (Oxford University Press, 2016). She has also been published in a number of chapters and journal articles focusing on the political and cultural history of Spanish music throughout the twentieth century. She is about to embark on a project on the early history of recorded music in Spain, funded by an AHRC Leadership Fellowship. She is keen to disseminate the music of Spanish exiled composers in Spain and beyond, and maintains the site Spanish Music in Exile, as well as giving the occasional performance of Spanish art song.